Bill Clinton: Little Talk About What Works : The Two-Way The debate in Washington, says the former president, is "all about 'is the government good or bad or taxes always good or bad?' "
Former President Clinton and President Obama at the White House; December 10, 2010. 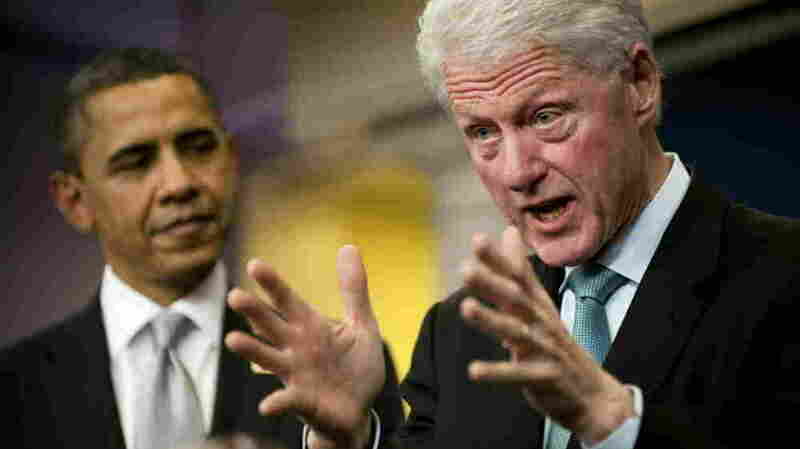 As he listens to the current debate in Washington over the budget deficit, taxes and economic policy, former President Bill Clinton says the discussion lacks a lot. "It's all about 'is the government good or bad or taxes always good or bad?' " he told Morning Edition co-host Steve Inskeep during an conversation that's scheduled to air Tuesday. "There's very little talk about what actually works." That's why Clinton has a new book — Back to Work — with this subtitle: Why We Need Smart Government for a Strong Economy. It's a book, as USA Today writes, with "a few dozen ideas ... about ways large and small to get unemployed Americans back to work — from granting property tax breaks for investments that create jobs to painting every flat tar roof in U.S. cities white for the energy savings." 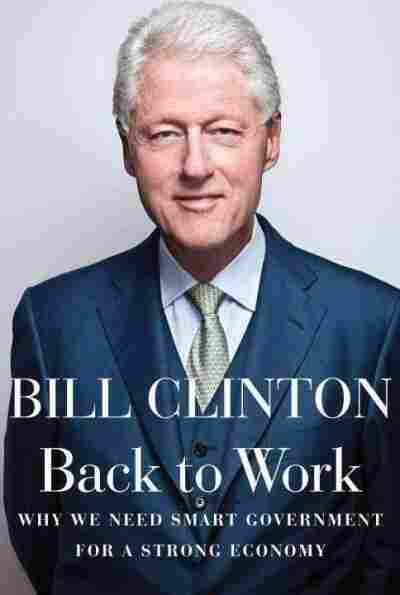 The Washington Post says that Clinton also writes in the book that the Democrat in the White House now, President Obama, has made at least two mistakes in recent years. "First," the Post says, "was not raising the federal debt ceiling in the first two years of the president's term, when Democrats still had a majority in Congress, and then failing to devise an effective national campaign message during the midterm elections of 2010. Clinton also suggests, obliquely, that Obama's criticism of Wall Street has been too harsh and counterproductive." The former president told Steve that Republicans have been very effective at pinning the "tax and spend liberal" label on Obama — just as they did to him. "They're good — the other guys," Clinton said. "The Republicans are good. They're good at this. They're good at labeling you. What I would say to you is I think he [Obama] has presented balanced plans." Much more from Steve's conversation with Clinton is due on tomorrow's broadcast. Click here to find an NPR station that broadcasts or streams the show. Later, we'll add the as-aired version of the interview to the top of this post.